The Lord surely put a lot of good things in that garden. For most of my life I didn’t want to have much to do with gardens. I thought they were too much work. But my love for spicy food has changed that. Here are a few of the peppers growing in my garden. A Trinidad Scorpion Hot Pepper growing in a planter box in my garden. These are the second hottest peppers in the world. I’ve got two of these plants. I bought some dried Trinidad Scorpions and tried sprouting plants from the seeds, but that didn’t work out so well. I did turn the peppers into hot chili powder. That was an adventure. 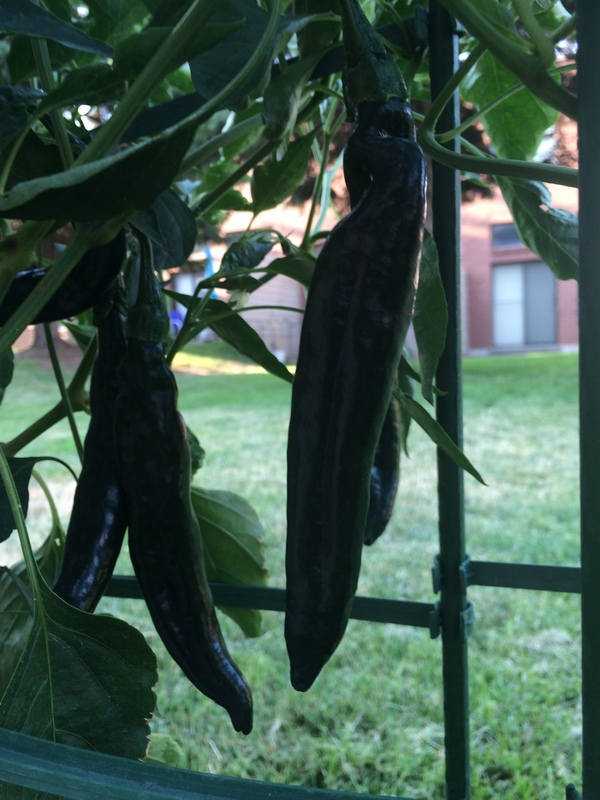 Fresno Hot Peppers growing in my garden. These are relatively mild (like a Jalapeño) hot peppers that I like in my chili. They’re a bright red when they’re ripe and this bush is looking very productive. Bell Peppers growing in my garden. 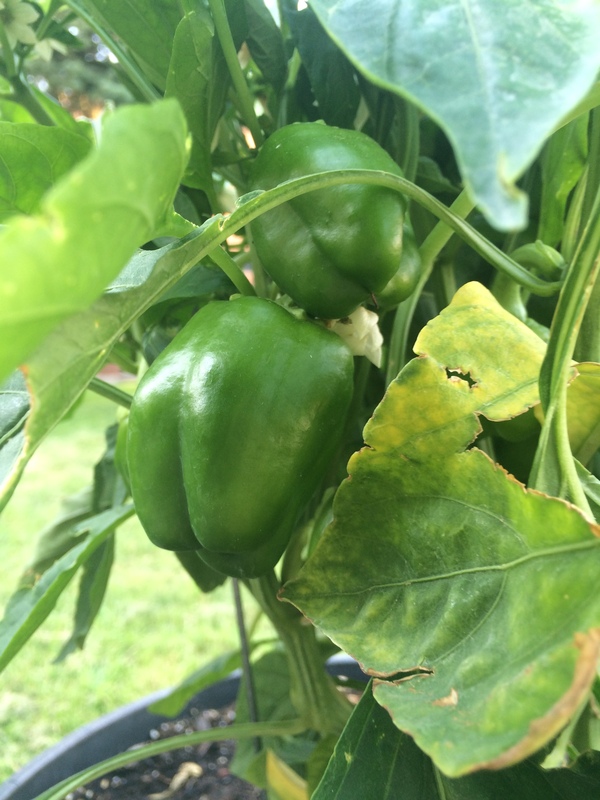 These are the “Big Early” variety, and are a wonderful sweet pepper. I’ve got three of these plants. They’re good in so many things I couldn’t begin to list them all. Some of these may end up being stuffed. 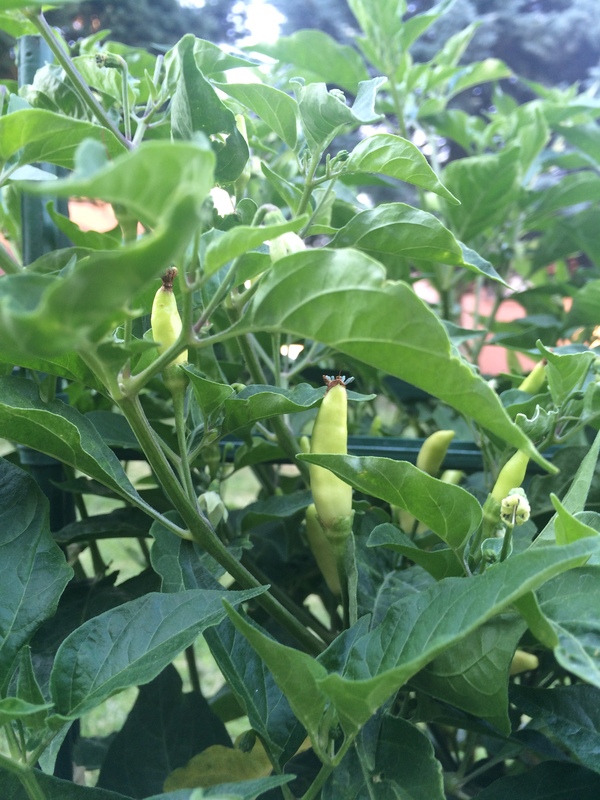 Tabasco Hot Peppers growing in my garden. These are the same peppers used in Tabasco sauce. Fresh and raw they’re about four to eight times as hot as a Jalapeño, although the sauce is roughly its equal. This year’s crop is coming in earlier than last year’s, and the peppers are larger. Of course, last year I grew them from seed and they took almost the entire summer to grow large enough to produce fruit. 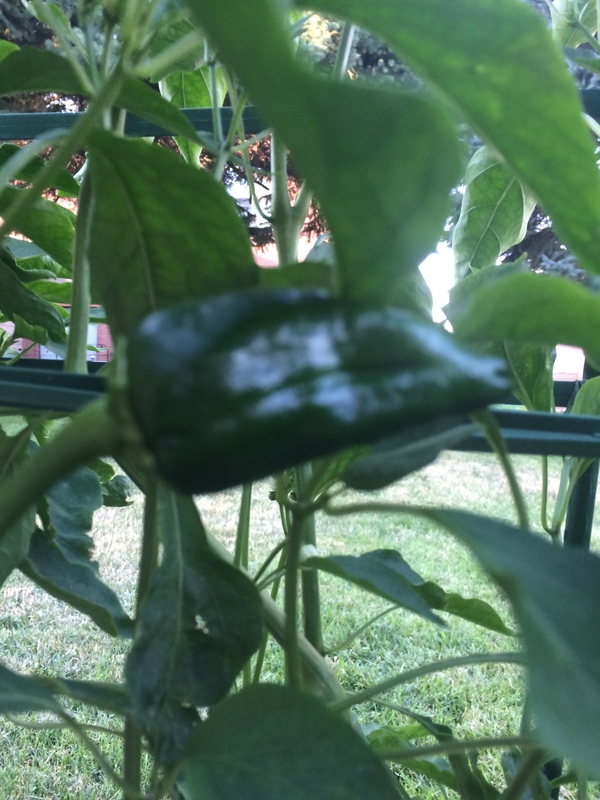 A Mulato Isleno Hot Pepper growing in my garden. These are known as Anchos when dried. They’re a variety of Poblano pepper. Mildly hot, about half as hot as a Jalapeño, they’re great in chili. Serrano Hot Peppers growing in my garden. These are really good for making salsas, and this bush is doing really well. I like to wait for them to ripen to a rich red color before picking them. Holy Mole Hot Peppers growing in my garden. These are a variety of Pasilla pepper bred specifically for making Mole sauce. I’ve never made a Mole sauce, but I think if I get enough of these I’ll give it a try. I know that they sure taste good. 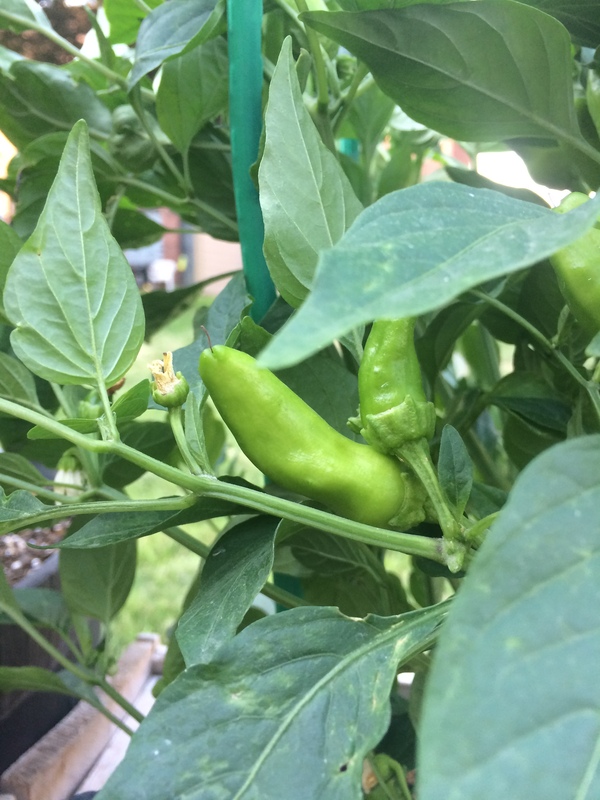 I have a couple of other pepper plants that are growing well and producing flowers, but haven’t seen fruit large enough to photograph yet (well, I suppose I could photograph some, but it’s still smaller than the little flowers). One of these plants is a Ghost Pepper, formerly the hottest pepper in the world, but now in third place behind the Trinidad Scorpion. 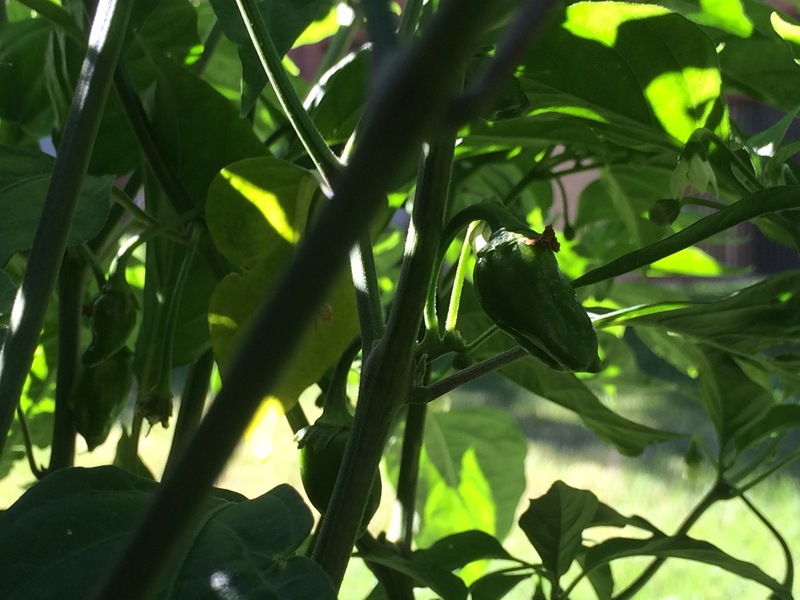 The other plant is a Habanero, and it’s just starting to produce fruit. Update: I’ve got some pictures of the Ghost Pepper and Habaneros now. 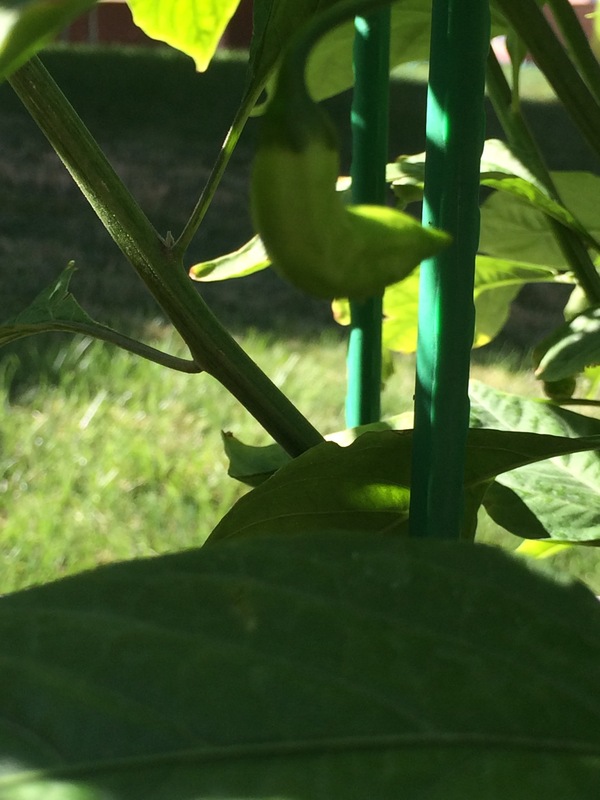 Here’s a Ghost Pepper growing in a planter box in my “garden”. I’ve waited quite a while for this one. 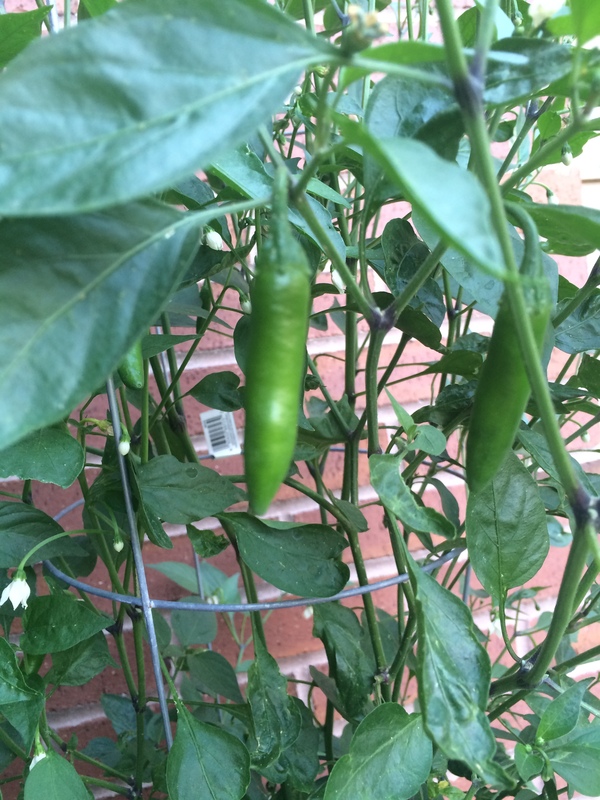 A Habanero Hot Pepper growing in a planter box. These will be a bright orange when they’re ripe. They’re fairly hot, but they have a great flavor. Mixed with other hot peppers they really do well to bring out the flavor of the even hotter peppers. I bought some dried Carolina Reapers (these are the hottest in the world, so far) last summer to try to grow from seeds. Sadly they failed to sprout, and I wasn’t able to find any live plants. Maybe next year. My wife is growing cucumbers and tomatoes on the balcony upstairs. Those plants have grown quite large and have started blooming. We’re looking forward to a lot of fruit there too. sigh This that and t’other, the only “garden ing” Ive laid in this year has been some lettuces in baskets (because the rabbits have so far thwarted my every attempt to keep ’em away from a garden-garden). Like your selection of peppers. Tasty. I haven’t had any problems with critters munching on my peppers yet. I understand you have a cat that might want to eat my habaneros though. 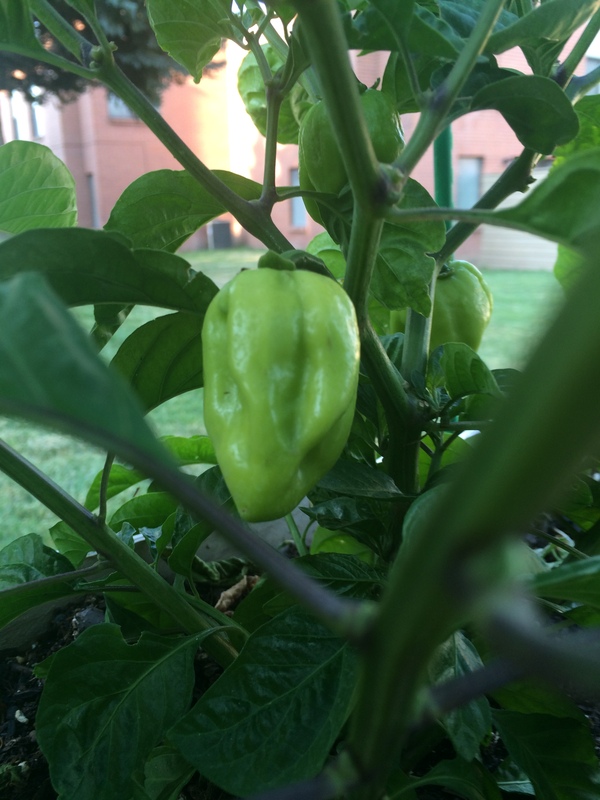 My ghost pepper finally started producing fruit this weekend, as did my habanero. This post will be updated with pictures of those in a bit.